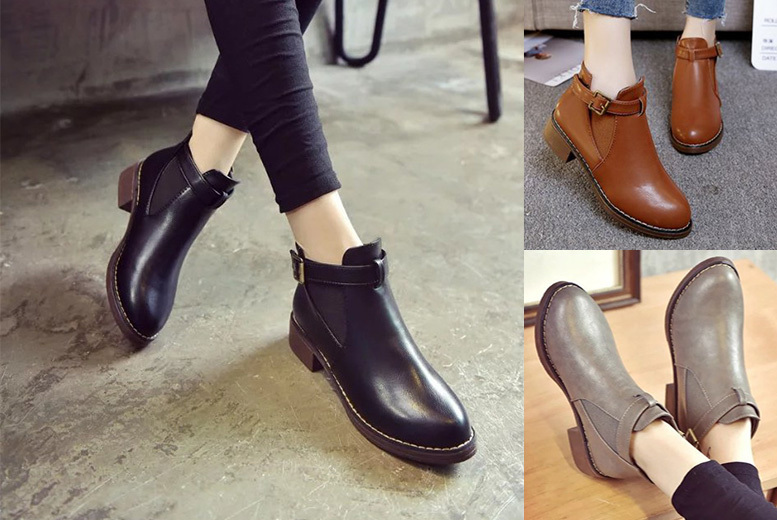 Get a pair of buckle strap Chelsea boots! Choose between brown and grey or black colours. Available in UK shoe sizes 3-8. With a casual ankle boot silhouette. Lightweight with a low and chunky heel. Has an inner zip for easy removal.